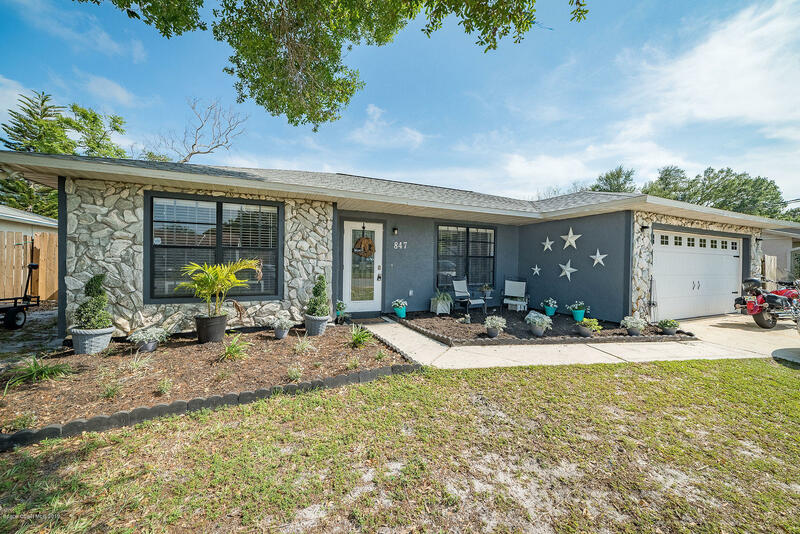 ***Turn Key Adorable home in the heart of Rockledge *** Wonderfully modern 3 bedroom plus an office/flex space / 2 bathroom / 2 car garage home in Rockledge close to shopping/Restaurants, I-95, US1, Viera, and everything in between! Huge backyard ready for a pool, Large garage, Stainless Steel Appliances, updated bathrooms, brand new roof (3/2019), and the perfect floor plan are just a few of the many features this home has to offer! Come view this property before you miss this great opportunity!